Join us for the Connect and Grow Workshop on July 7, 2018. The event will take place at the Coral Springs Library from 11:00 a.m. to 12:30 p.m. All Toastmasters and guests are invited. Tickets can be purchased on Eventbrite. In this workshop, we will talk about a few of those tools you can use in any story, the process of writing the story and the process of editing and structuring a punchlines around the inherent cadence of the story. This is an educational workshop presented by Casey Casperson of Sick Puppies Comedy. Casey Casperson graduated with a degree in Theater Management in 2001 from the University of Evansville. A Standup Comedian and Improviser of nearly 20 years, Casperson now owns and runs the famous Sick Puppies Comedy company in Boca Raton. Casey will be sure to teach, coach and entertain us. In February 2018, District 47 Toastmasters from Coral Springs, Florida met with members from District 51 in Penang, Malaysia. 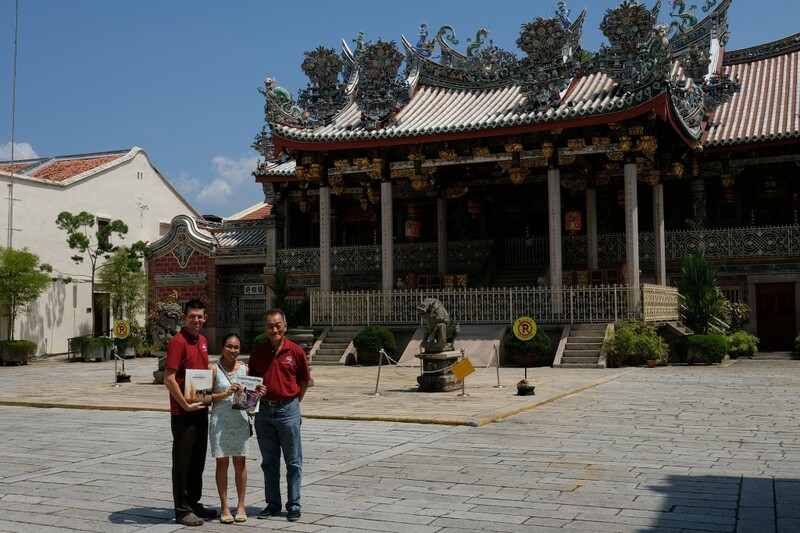 In this picture, John M. Quick (Club Awesome) and Zarraz L. Quick (Outspoken Toastmasters) pose with Khoo Boo Yeang (Great2B Toastmasters Club) outside the famous Khoo Kongsi Temple. Also featured are a copy of Toastmaster magazine and a Pathways club kit, a collection of materials provided to every club to help kickoff the new education program. 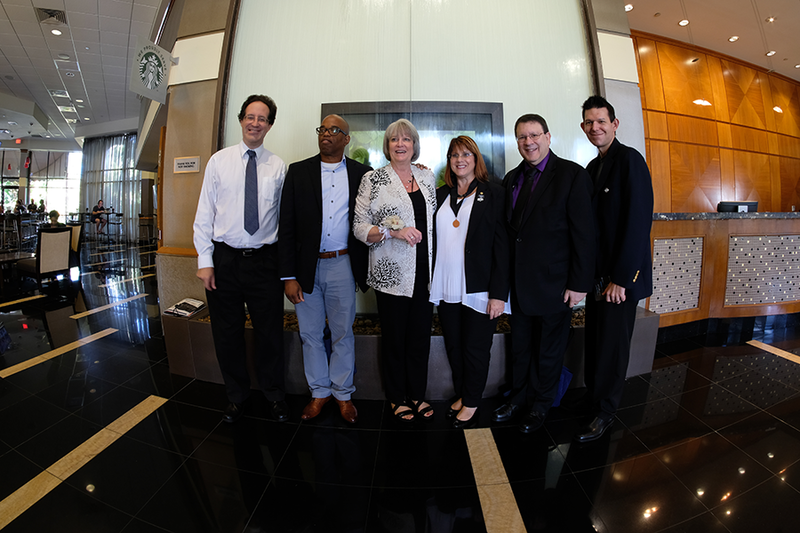 We are thankful for our gracious Malaysian hosts, who provided us with gifts and encouragement regarding the launch of the upcoming Pathways education program. Toastmasters is truly an international community. Over the summer of 2017, I set out on a mission to help spread the word about Toastmasters throughout South Florida and The Bahamas. Presenting the Community is a High Performance Leadership (HPL) project designed to engage existing Toastmasters in District 47 and attract new people to our clubs by sharing our speaking expertise and personal experiences. 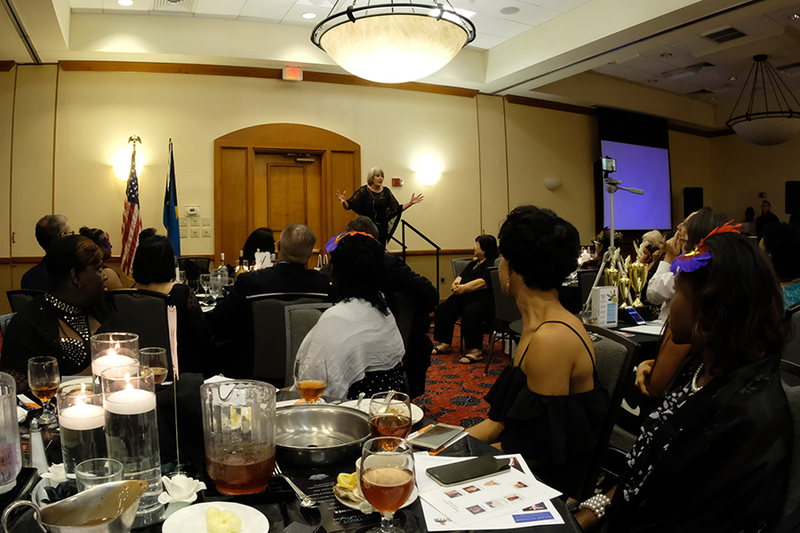 This journey took me to several training events across South Florida and put me in touch with numerous Toastmasters from District 47. I met with a broad spectrum of people, including brand new members, people starting up corporate clubs for the first time, members with decades of experience, club officers, and district directors. I am grateful to those 38 members who shared their speaking expertise and personal experiences on video. The 50+ videos they helped to create represent 30+ clubs, which is about 20% of all clubs from District 47. The project officially kicks off on Friday, December 8, 2017. In total, over 50 videos are scheduled to be released on a weekly basis. You can follow along with the entire series on YouTube. In the meantime, learn more about the project, see some sneak previews, and consider how you can contribute with this welcome video. In addition, I appreciate the support of my committee, which includes Lydia Harris, Lois Margolin, and David Carr. Furthermore, you’ll see Zarraz Quick helping to spread the word about this project on social media as the project’s Online Marketing Director. As you see videos posted to the official YouTube playlist, Club Awesome blog, District 47 Facebook pages, and other social media, please share them through your personal networks as well. By doing so, we are amplify the Toastmasters message to those potential members all around us who we warmly welcome to visit our clubs. Lastly, I hope you’ll be inspired to put together videos to share your own experiences and advertise your clubs. If you do so, get in touch with me, so I can help you share them online. Visit http://johnmquick.com/hpl and connect with John M. Quick to learn more about Presenting the Community. Presenting the Community is a High Performance Leadership (HPL) project by John M. Quick. Toastmasters International and all other Toastmasters International trademarks and copyrights are the sole property of Toastmasters International. The content of this project is the opinion of the creator and is independent of Toastmasters International. It is not authorized by, endorsed by, sponsored by, affiliated with, or otherwise approved by Toastmasters International. 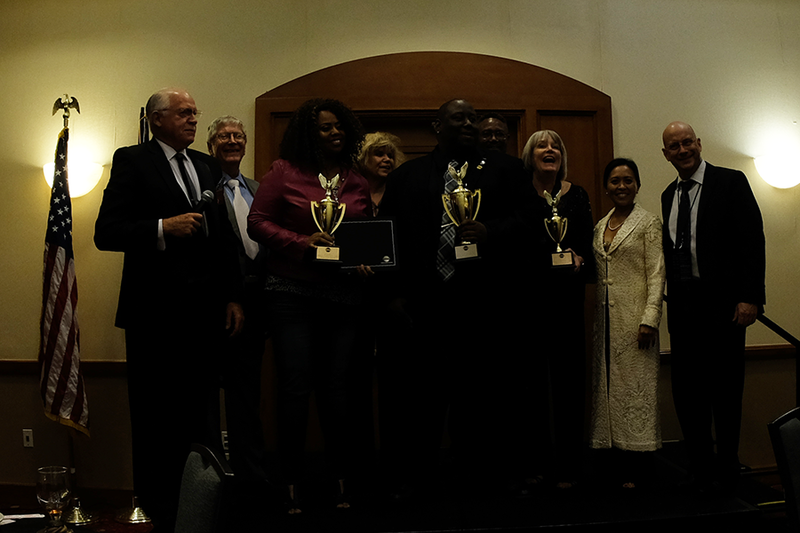 Marilyn Brown placed 3rd in the District 47 Toastmasters humorous speech contest, November 2017, where she competed as one of seven top speakers from South Florida and The Bahamas. She had previously won at the club, area, and division levels. Marilyn is a past President of Club Awesome and past Area Director. 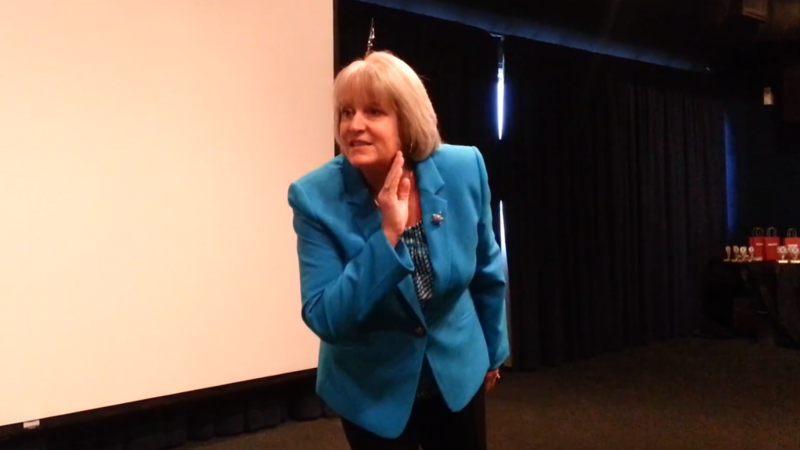 Outside of Toastmasters, she is a team coach and facilitator at Peopletek Coaching.